Createspace Independent Publishing Platform, 9781523446964, 208pp. 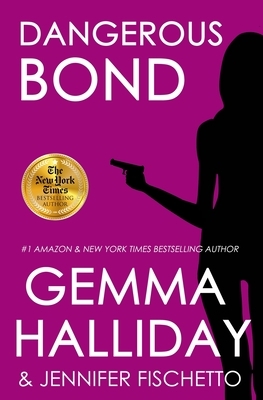 From New York Times and USA Today bestselling author Gemma Halliday... Her name is Bond. Jamie Bond. And danger follows her everywhere... As a private investigator, Jamie Bond thought she had seen every sort of cheating-spouse case imaginable. That is until she's hired by a wife who's afraid her husband is cheating...on his diet. Rodger Claremont lost mega-pounds eating sandwiches from the Hoagies chain and subsequently became their celebrity spokesman. A position his wife fears he'll quickly lose if the pounds come back on. But what starts as a simple case of following a potentially unfaithful (to his diet) husband, turns deadly when Jamie finds Rodger murdered in his own home. Was the wife afraid of losing her sandwich fortune? Was it a competing fast-food chain out for revenge? Or did Rodger's friendship with a shady rapper named Heavy Cash have anything to do with it? Jamie vows to get to the bottom of it, even if it means stepping on the toes of the investigating assistant district attorney, Aiden Prince-a man Jamie could easily find herself falling for despite her budding attraction to her best friend, photographer Danny Flynn. Caught between two men, Jamie finds herself road-tripping to Vegas, babysitting a pair of Senior Sleuths, searching for a missing ex-boyfriend, and tracking down a cold-blooded killer...who threatens to strike again The Jamie Bond Mysteries: Unbreakable Bond (book #1) Secret Bond (book #2) Lethal Bond (book #3) Bond Bombshell (short story) Dangerous Bond (book #4) Here's what critics are saying about Gemma Halliday's books: "A saucy combination of romance and suspense that is simply irresistible." -Chicago Tribune "Stylish... nonstop action...guaranteed to keep chick lit and mystery fans happy " -Publishers' Weekly, starred review "Smart, funny and snappy... the perfect beach read " -Fresh Fiction.